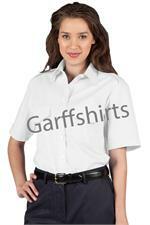 Stay cool and comfortable for hours on end with a crisp, professional womens pilot shirt from Edwards. Whether you work on land, sea or in the air, these high-quality shirts will help you rise to new heights in your career. Looking polished is a must for anyone who wants to be taken seriously at work. 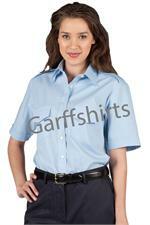 Edwards pilot shirts for women help you maintain an image of competence and efficiency. 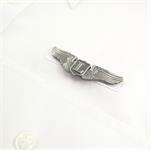 Point collars with permanent stays, French plackets, flap pockets and other features help you achieve the look you want. 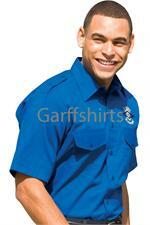 Edwards pilot shirts are user-friendly, too. Machine-washable cotton blends make your work week easier, while wrinkle-free shirts keep you looking your best throughout your busy day without the need to pick up an iron. Long- and short-sleeved options suit the needs of employees in many industries, including hospitality, security, transportation, entertainment and countless others. Easy-care, attractive professional apparel from Edwards enables you to stay comfortable and confident so you can focus on the job at hand. Whether you opt for a pilot shirt with short or long sleeves, structured or relaxed fit, or any other number of features, you'll love the way these uniform shirts help you look and feel your very best.